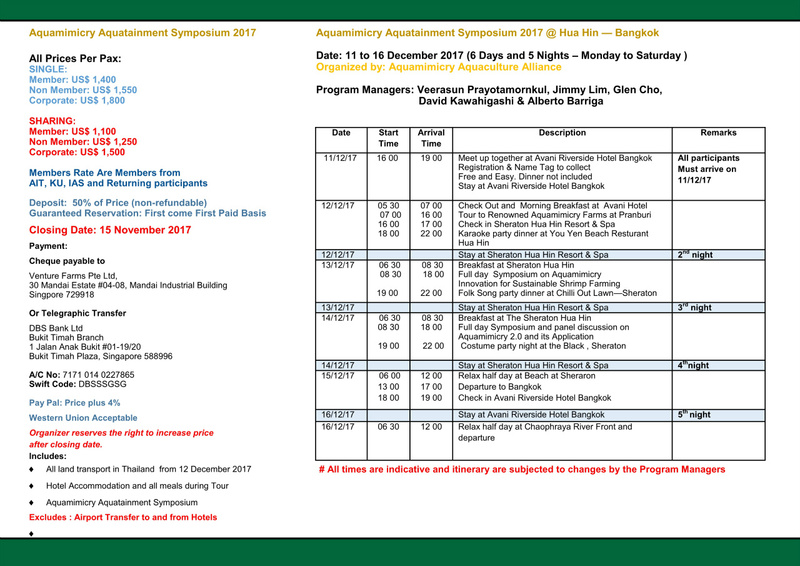 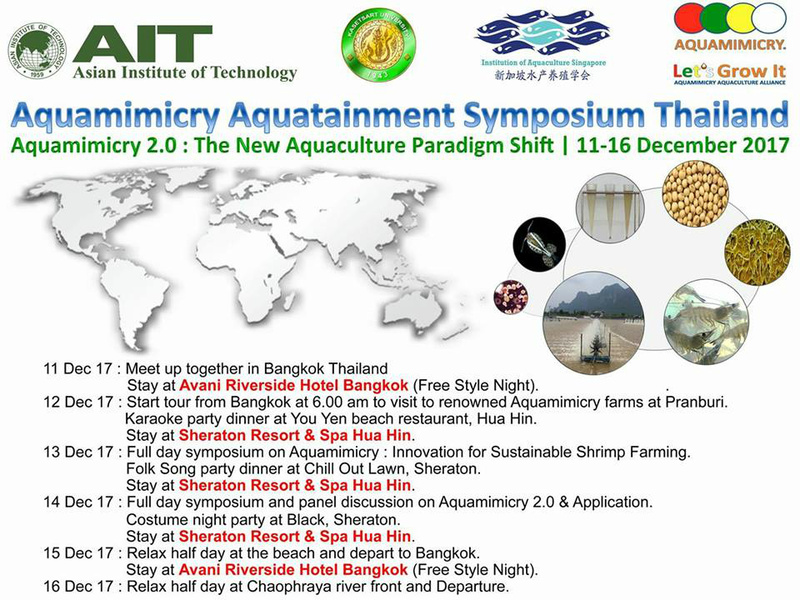 This coming December 2017 will be bigger and is our First Symposium where we will feature speakers who are full bred Aquamimicry farmers who will share their practical and hands on experiences on shrimp farming. 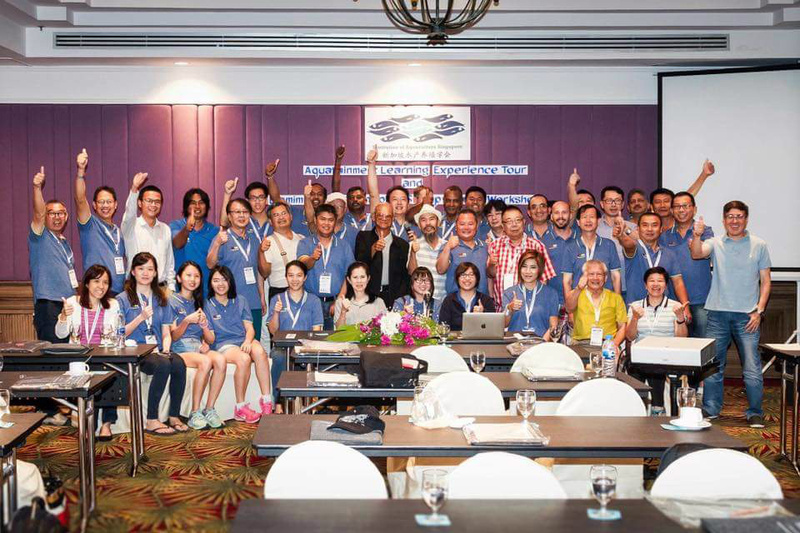 apart from Professors from reputable Universities like Asian Institute of Technology and Kasetsart University Thailand. In addition we will feature AFSy 2.0 Fish Free Feed which will revolutionize how shrimps are going to be cultured without having to depend on fishmeal which we call it Aquavolution. 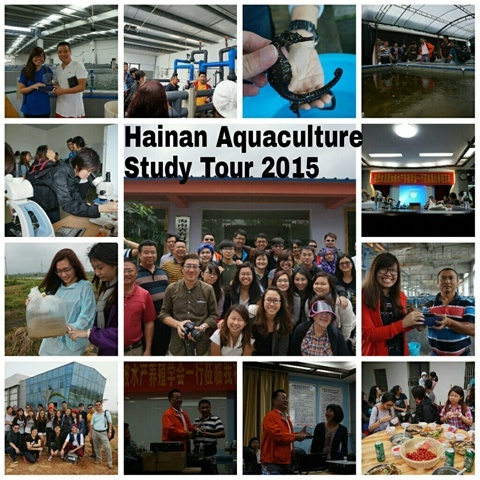 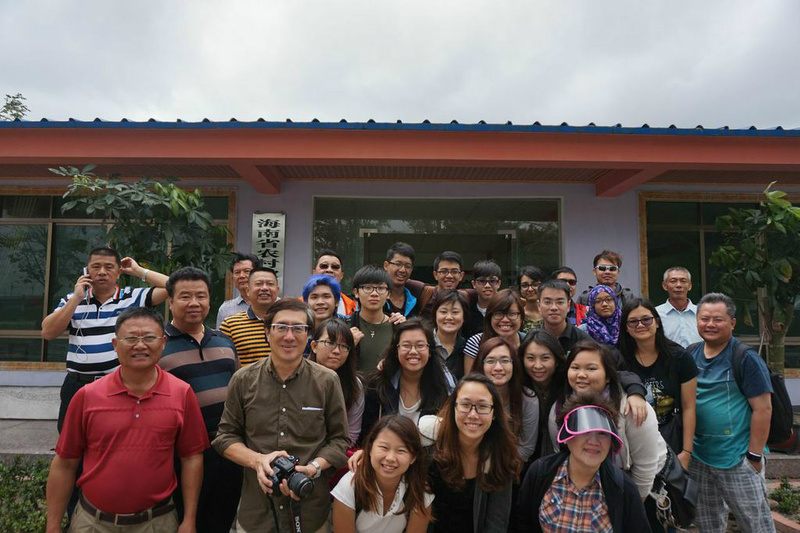 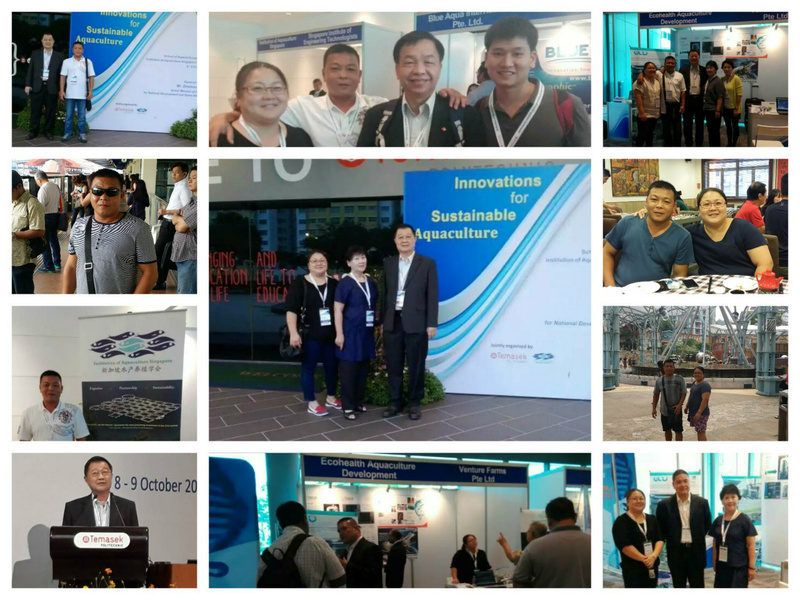 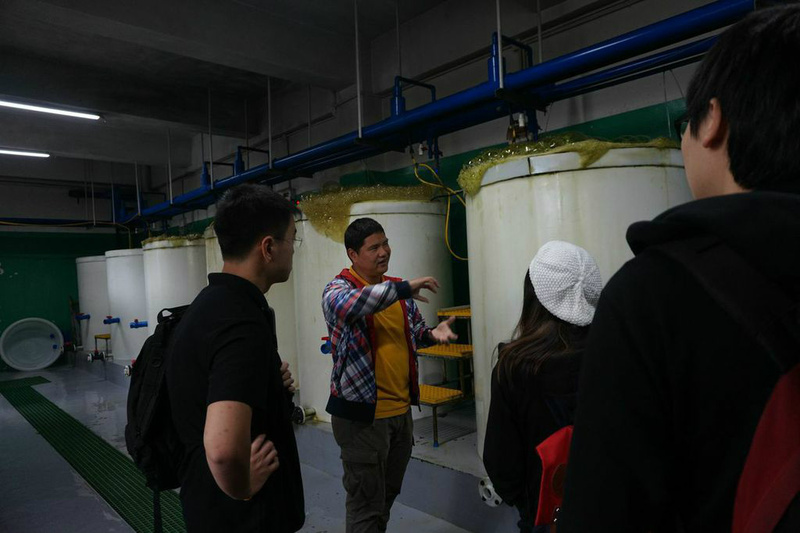 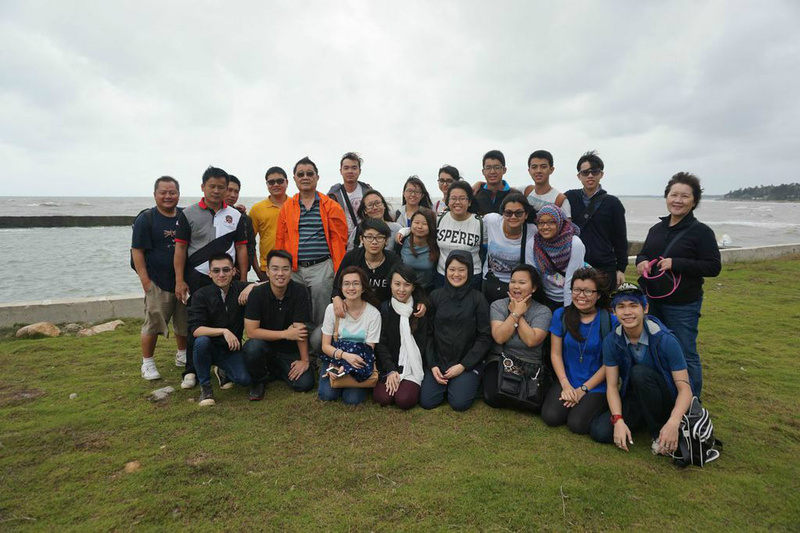 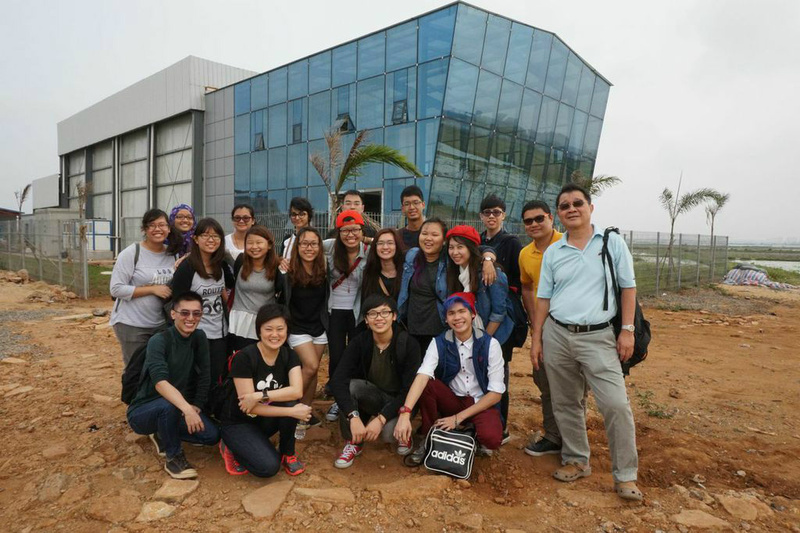 We successfully organised the Hainan Aquaculture Tour 2015 on behalf of Institution of Aquaculture Singapore for the benefits of the Temasek Polytechnic cohorts from 23/3/15 to 27/3/15. 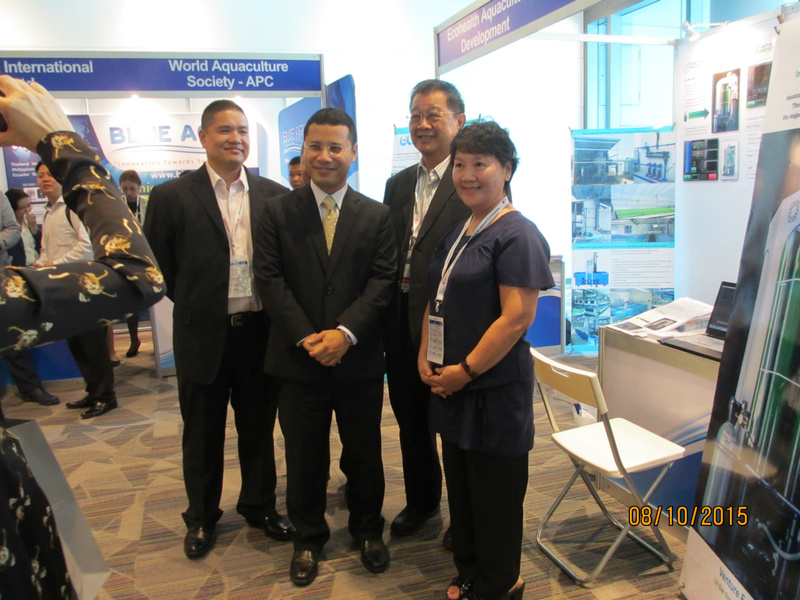 They also attended a talk by Ms Han Han from China Sustainability Institute on Sustainable aquaculture practices in China. 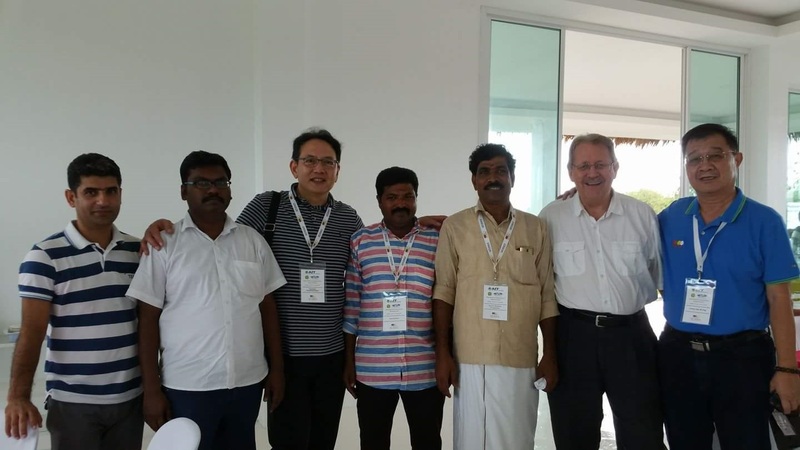 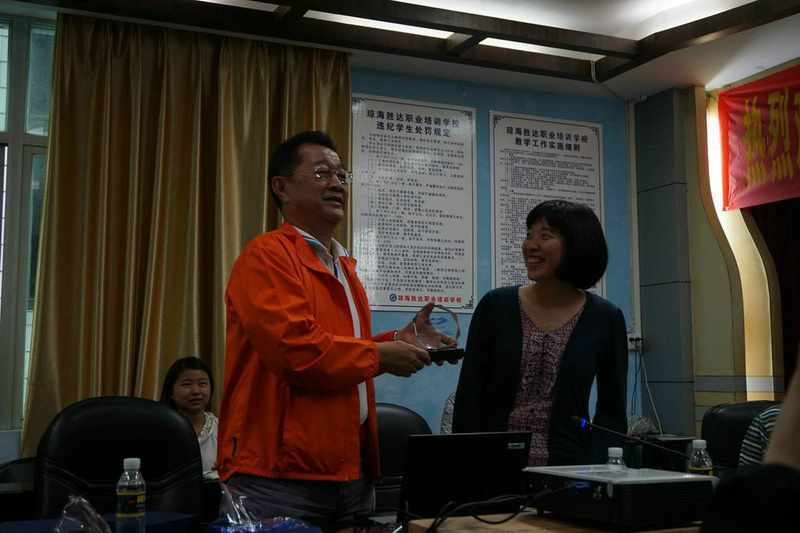 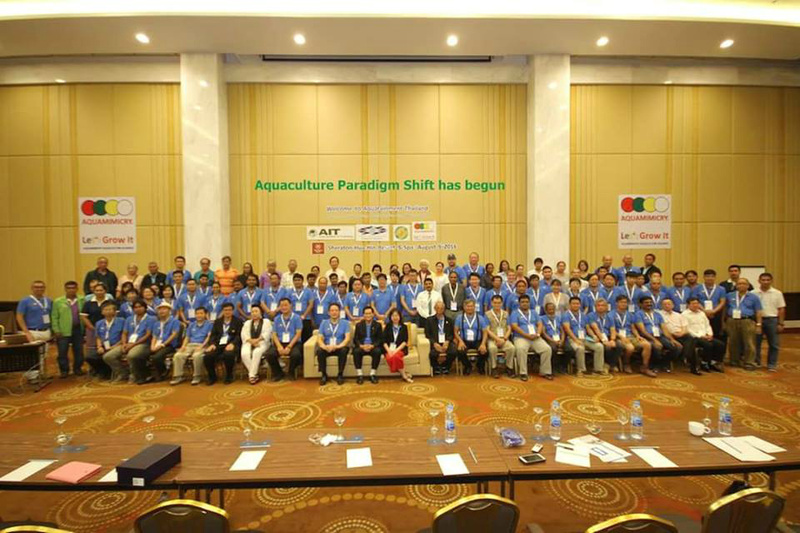 The participants had the opportunity to meet the Drector of Fisheries, Qionghai, Hainan and also the President and Exececutive members of the Qionghai Tilapia Farmers Alliance to explore closed internship colloboration. 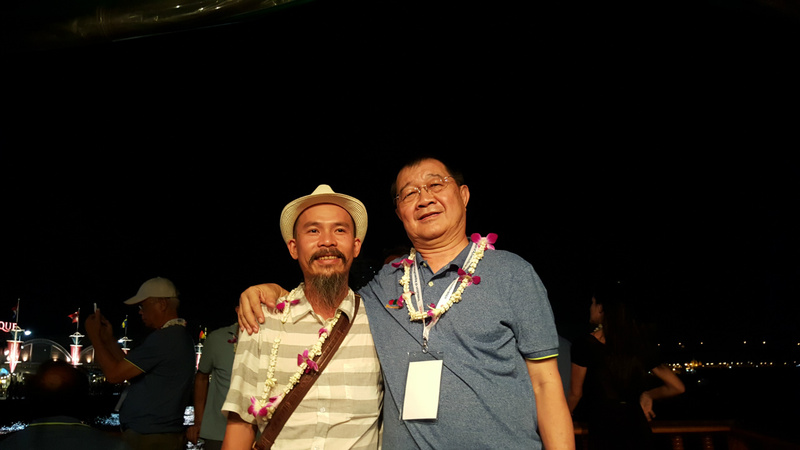 The party had a happy closing dinner hosted by Chen Dingshen, Pesident of the Farmer's Alliance at the latters Farm Resort. 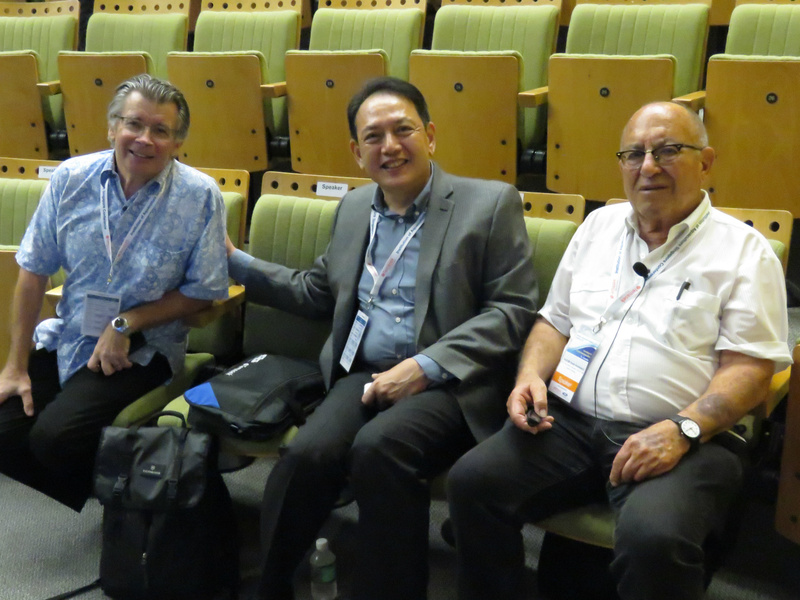 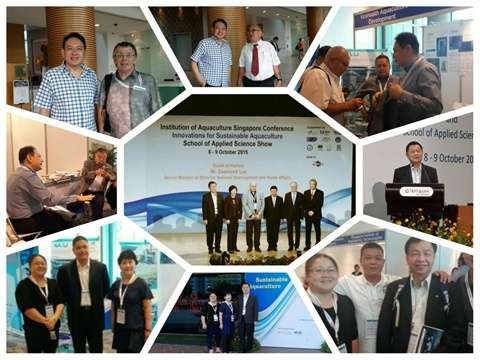 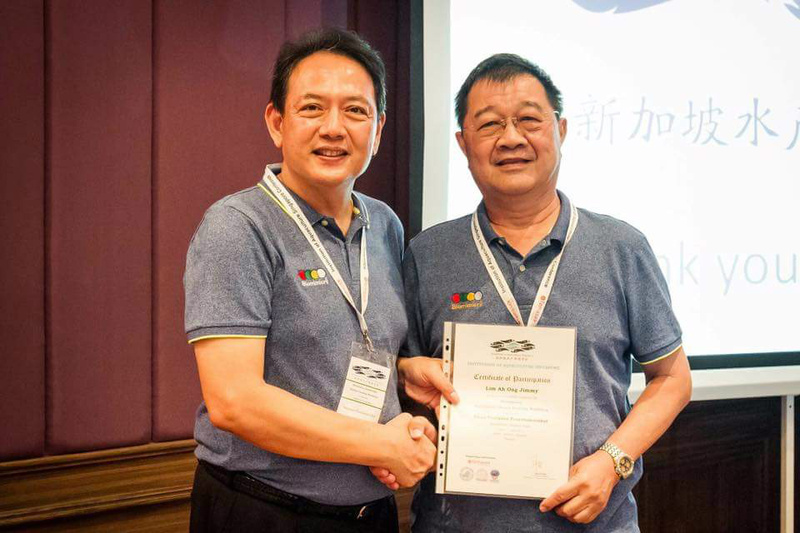 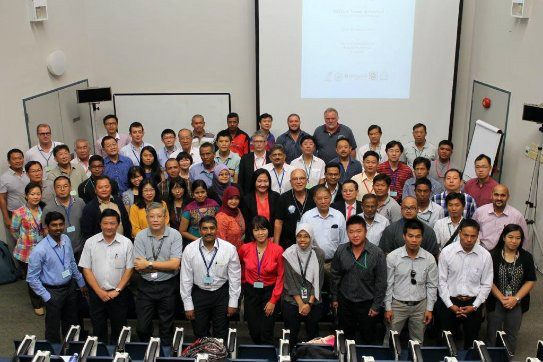 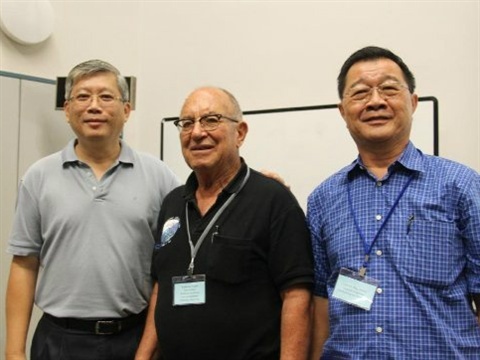 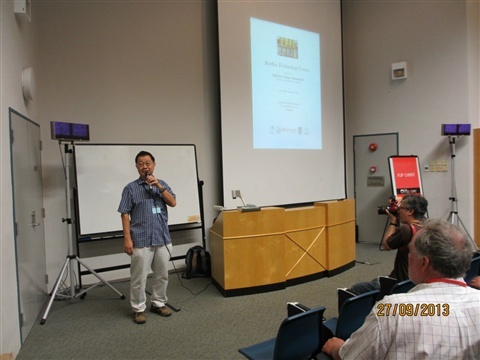 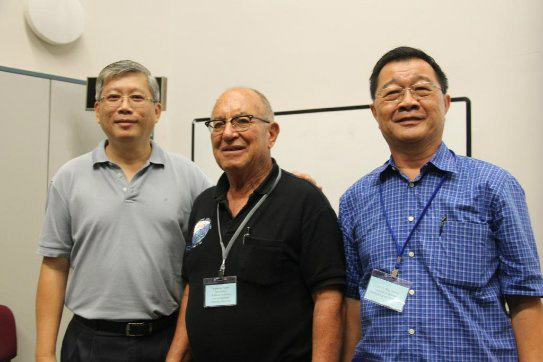 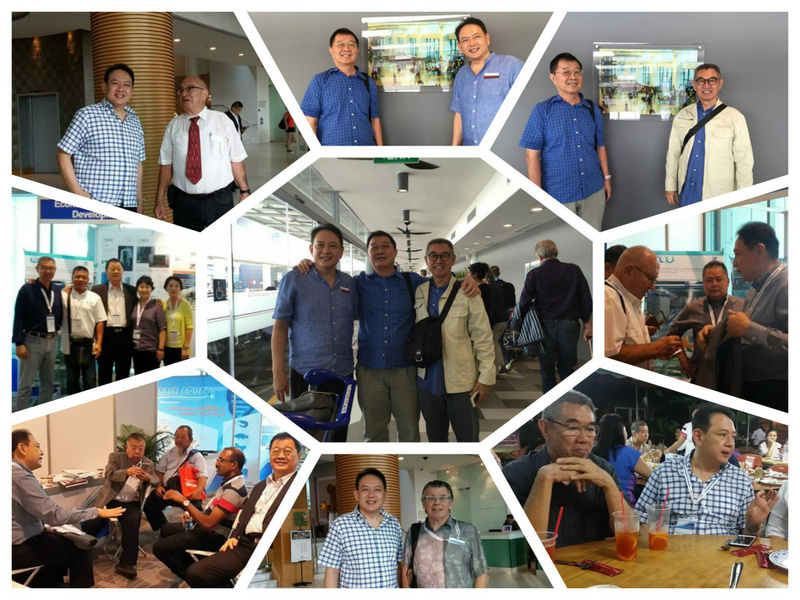 Jimmy Lim, our Director and also the Founder President of IAS, was instrumental for the organising of AquaSG 2015 Conference ffrom 6 to 8 October 2015 at Temasek Polytechnic. 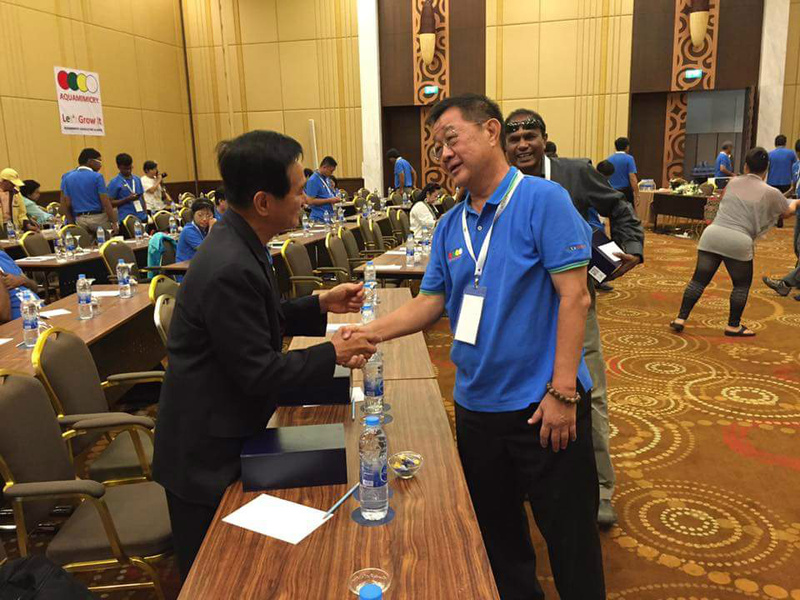 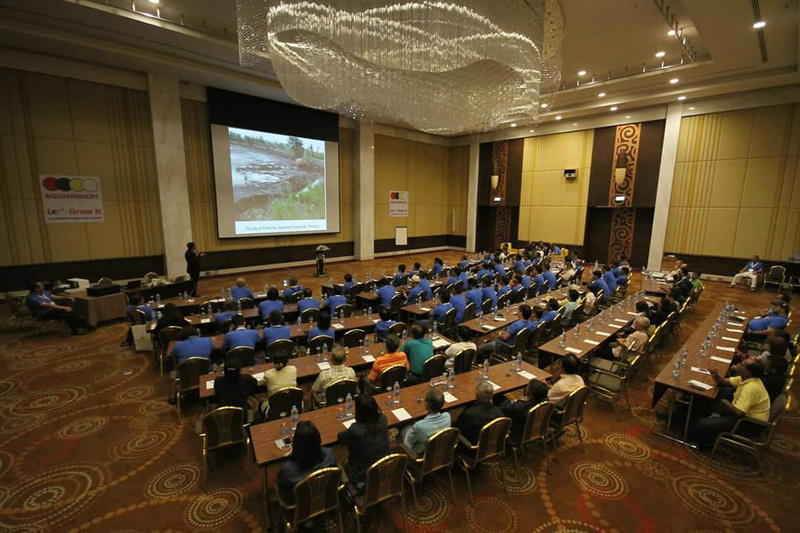 The conference attracted more than 200 delegates from more than 14 countries. 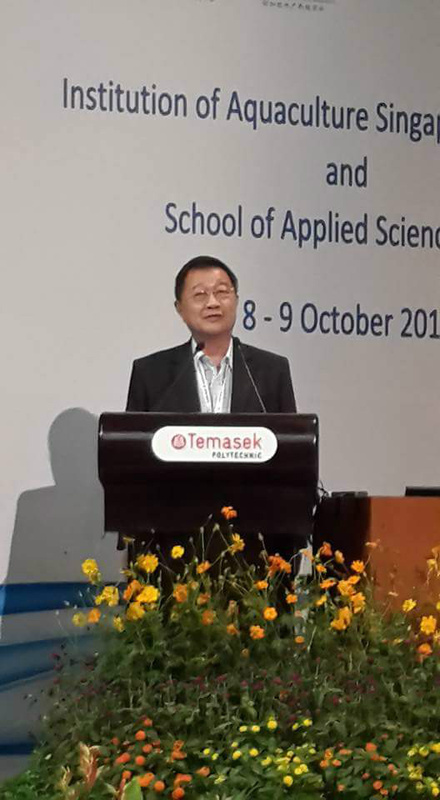 Our Senior Minister of State for National Development, Mr Desmond Lee officiated the opening address. 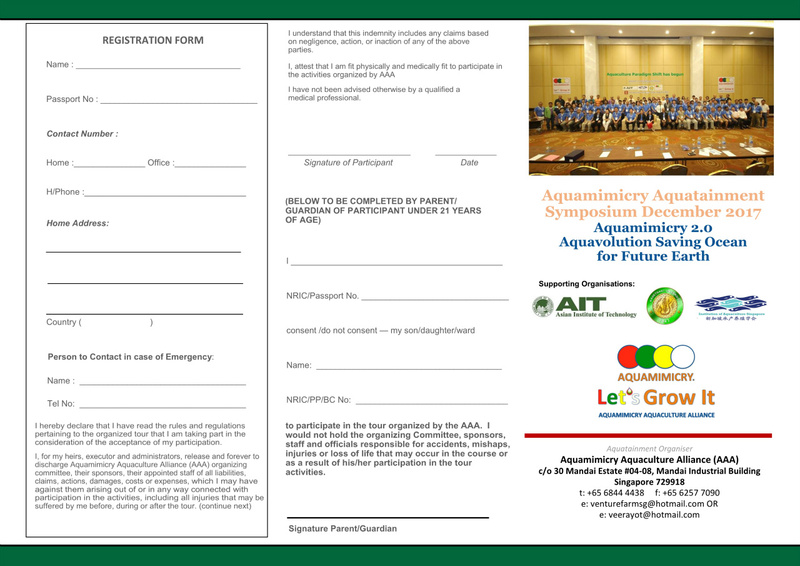 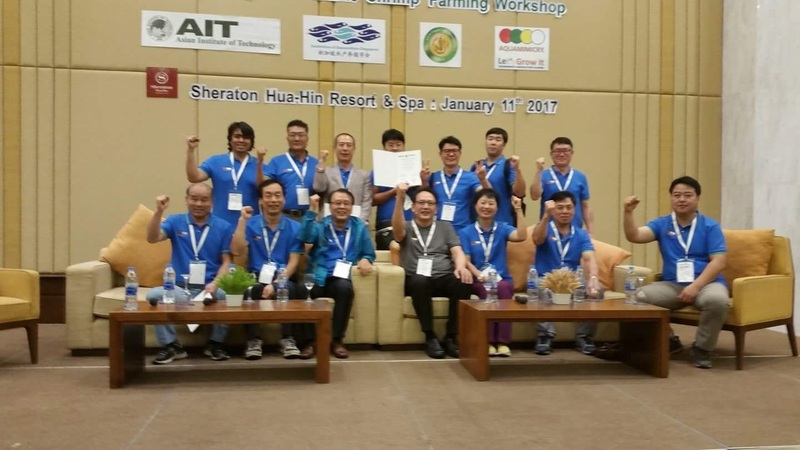 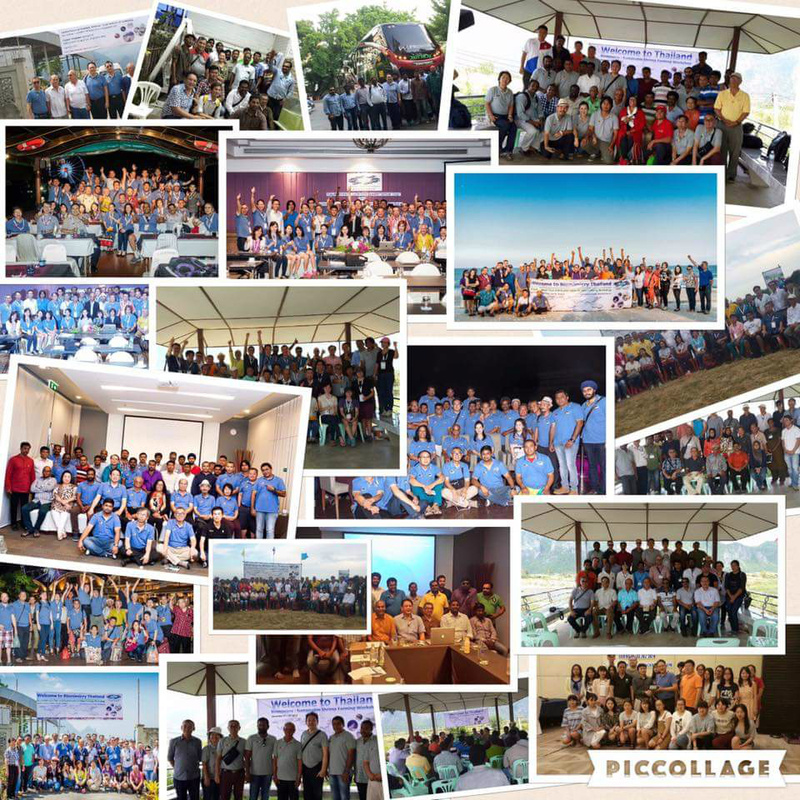 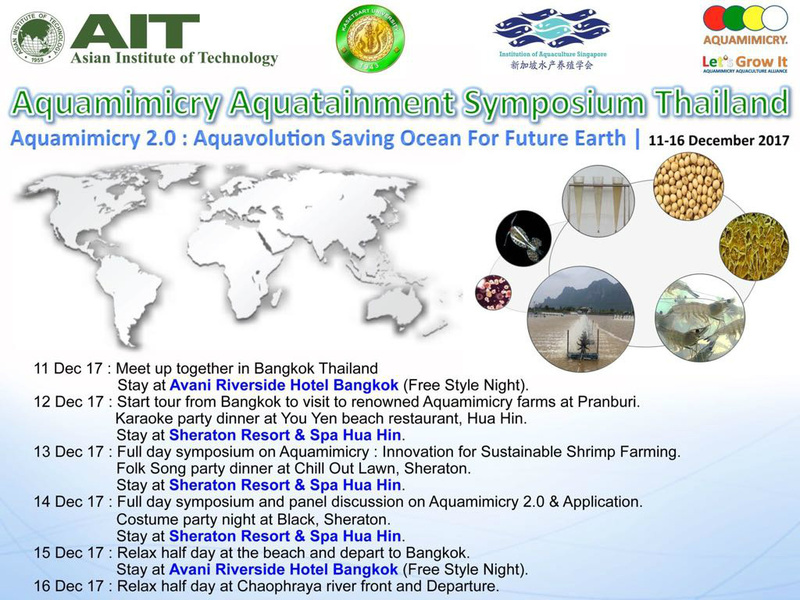 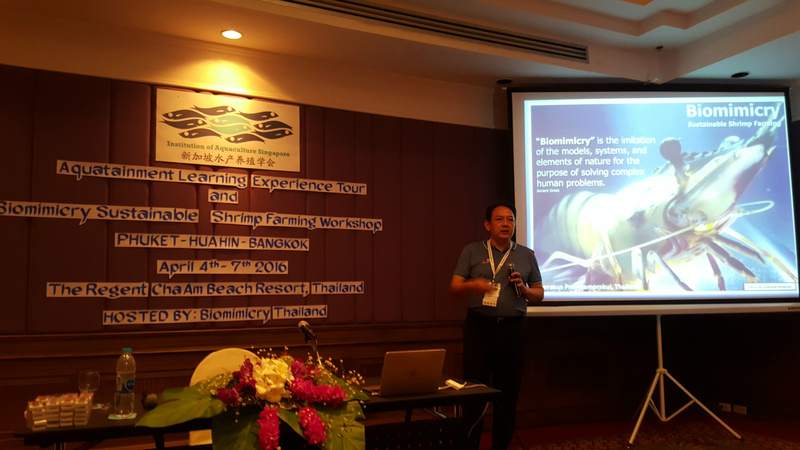 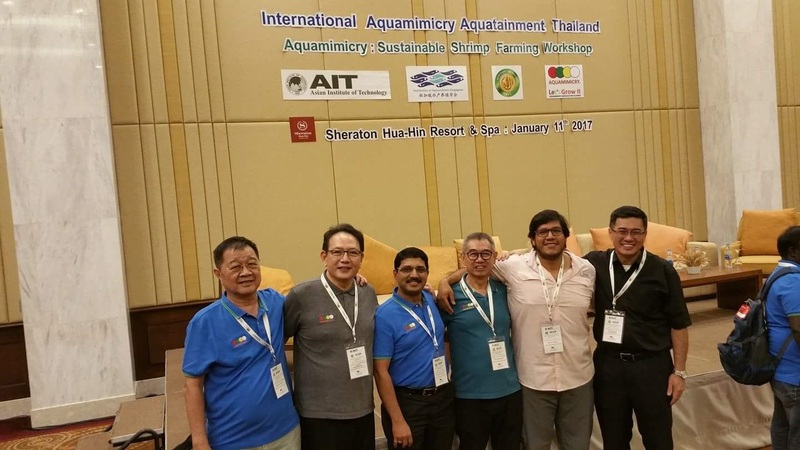 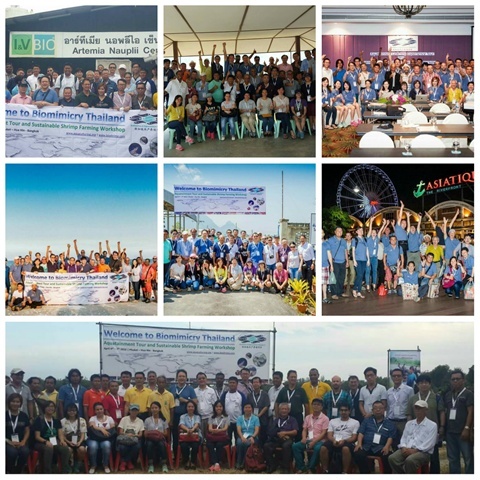 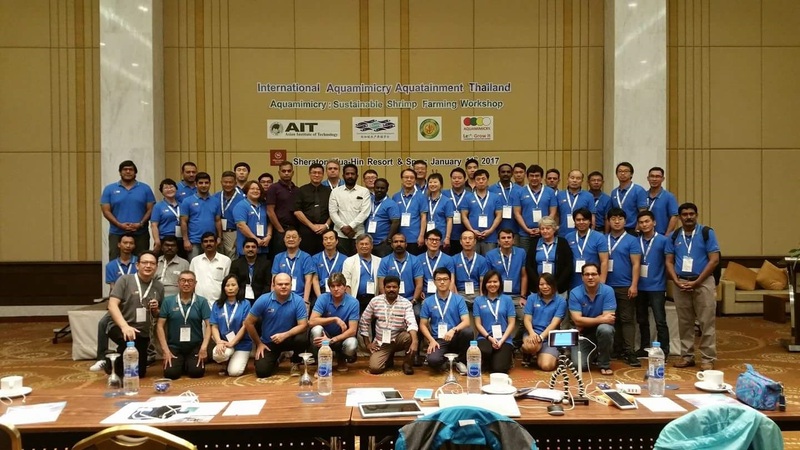 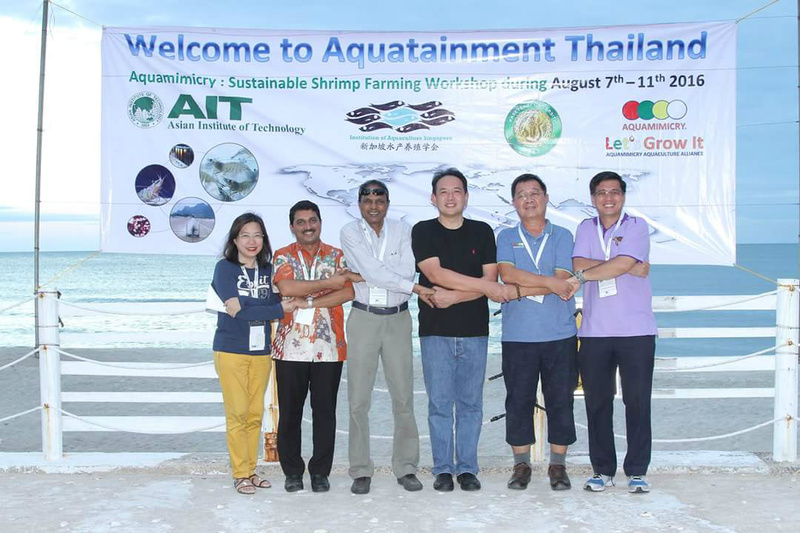 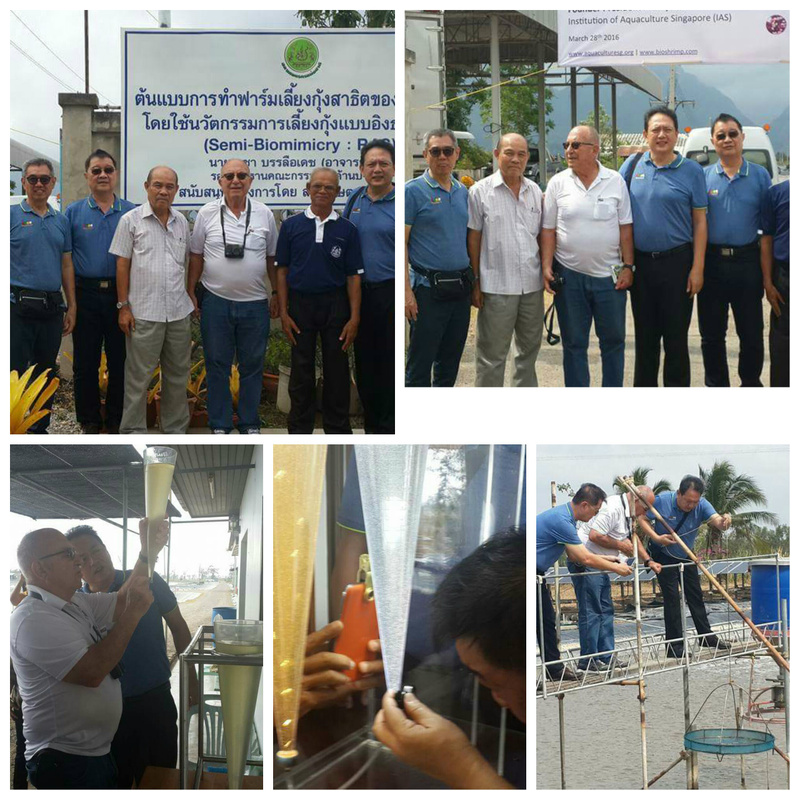 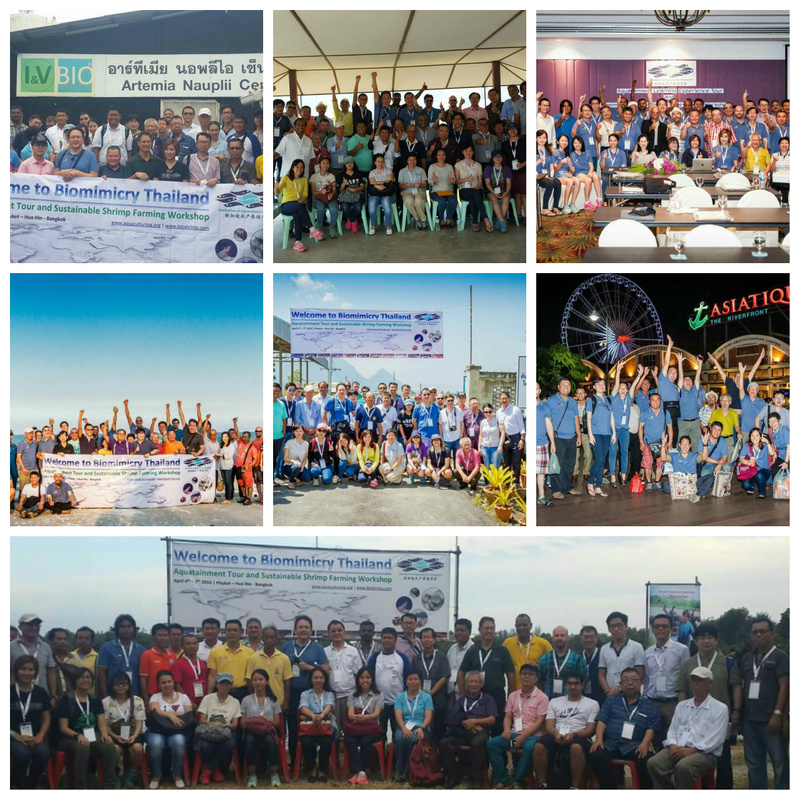 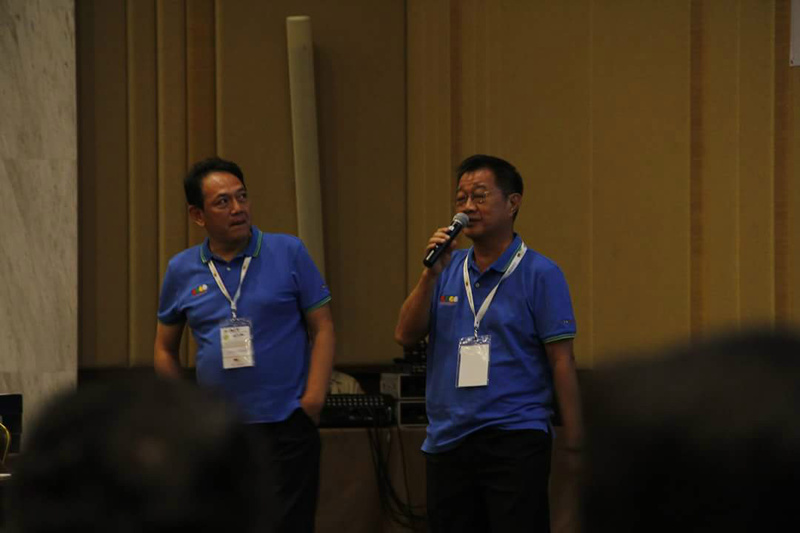 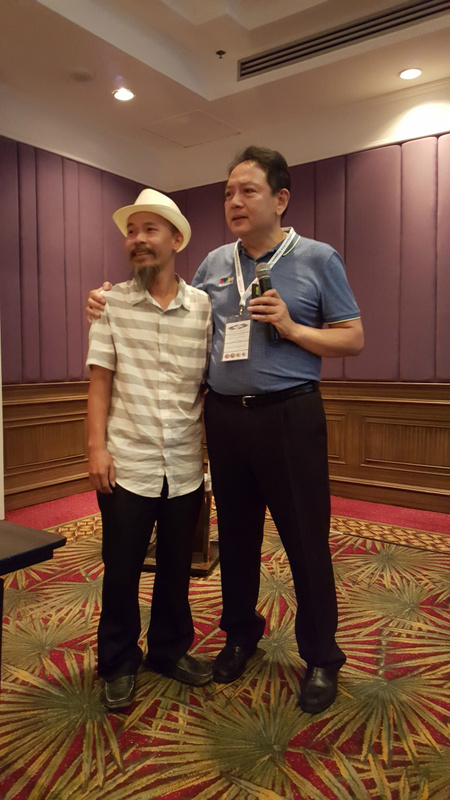 In collaboration with Veerasun Prayotamornkul and the Thailand Biomimicry Team, we successfully conducted the Aquatainment Leaning Experience 2016 and the Biomimicry Sustainable Shrimp Farming workshop that rocked Thailand from 4/4/16 to 7/4/16. 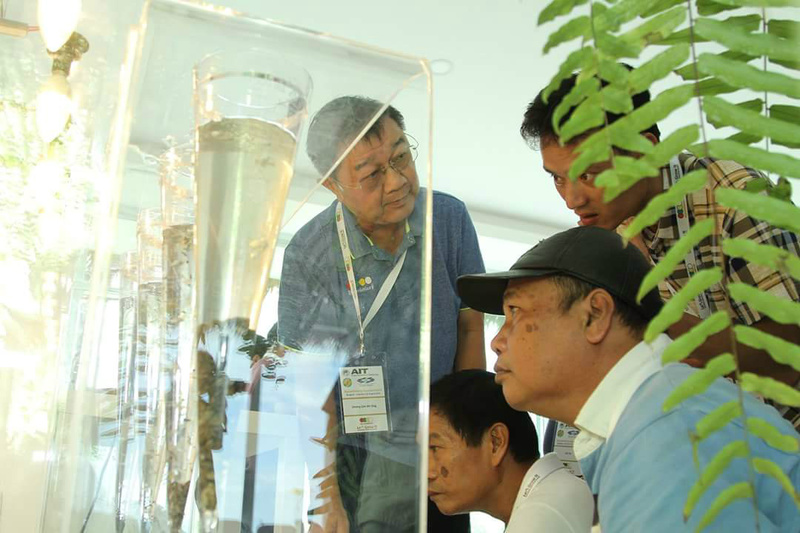 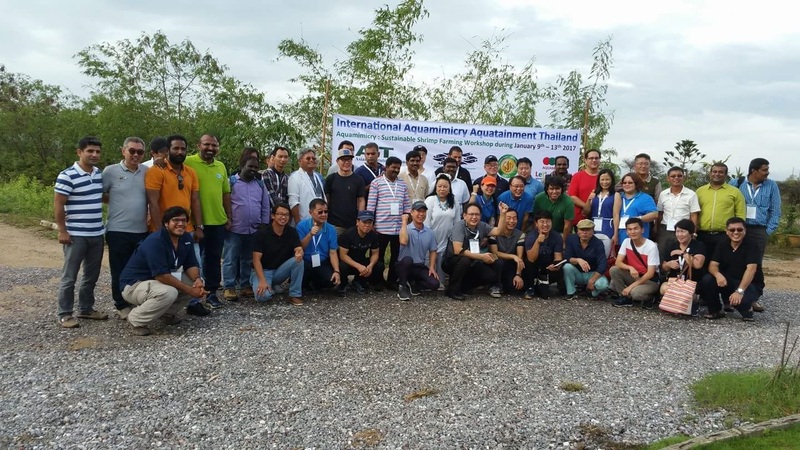 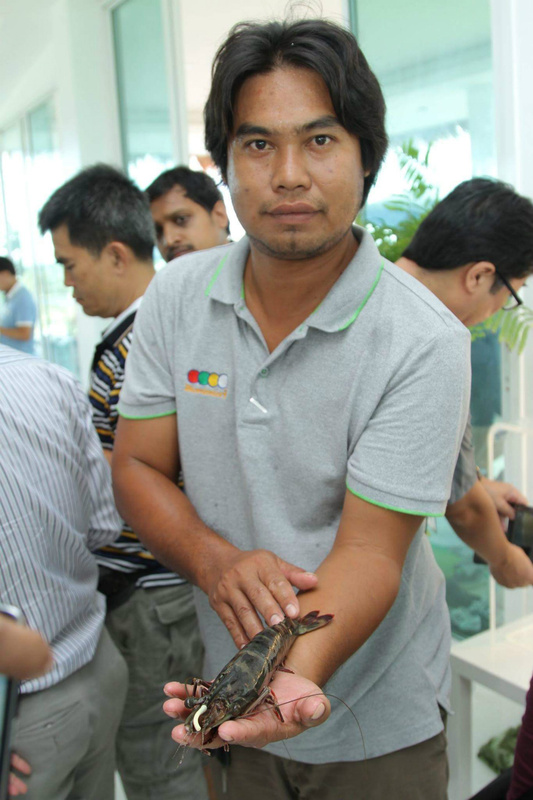 More than 45 participants from countries like USA, Bulgaria, Ecuador, India, Vietnam, East Malaysia, Brunei, Indonesia, Philippines, Thailand and Singapore were entertained through tours of Biomimicry farms from Phuket to Prachinburi. 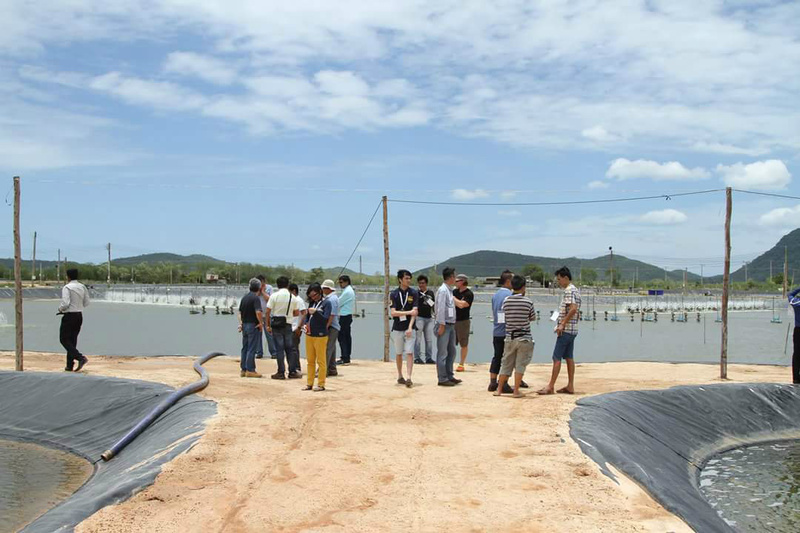 They visited the famous Black Gold Tiger Broodstock farm, I&E Bio Artemia Nauplii Center and the world renowned Copefloc RAS Biomimicry Shrimp farm at Prachinburi. 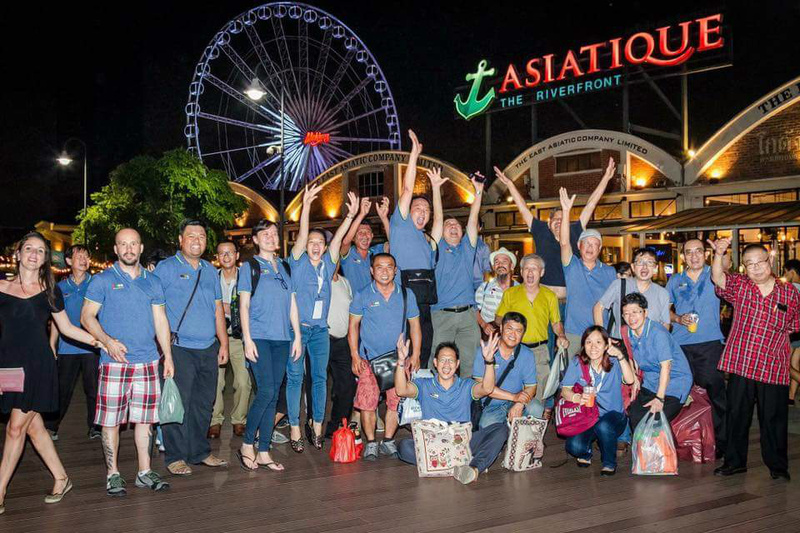 The tous ended with the closing ceremony and dinner on a private cruise ship which sailed down the beatutiful Chao Praya River and ended at Asiatique quay where the participants enjoyed the night of drinks and shopping late thirugh the night. Many more Aquatainment Learning Experience Tours will be organised. 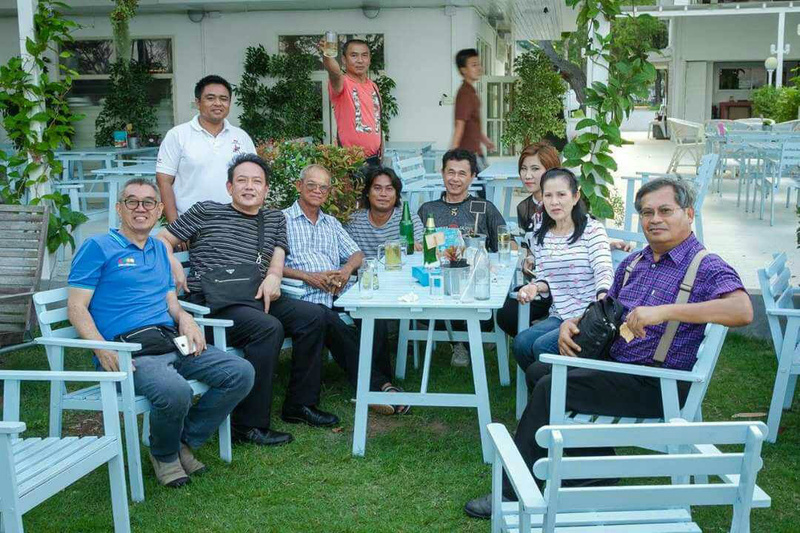 Watch out for the Next Run soon.